Professor Mary Carolan-Olah has been conducting research in high risk pregnancy for almost 10 years. Pregnancy in women over 35 years: successfully argued that educated and healthy women of low parity (<3 children) do not incur the same level of age related pregnancy risk as women of high parity and low socio economic backgrounds. Gestational diabetes mellitus (GDM): as an increasing concern for pregnant women. This research has highlighted factors that impact on women's understanding and uptake of GDM self management processes, including limited educational achievement, ethnicity, socio economic status and poor health literacy. Predictors of perinatal morbidity: clearly established that older maternal age is associated with increased rates of caesarean section and induction of labour especially among private patients. It also examined, for the first time, the implications of both older maternal age and ethnicity on GDM rates among Victorian women (Australia) and found that ethnicity was an independent risk factor for GDM and also that this risk increased dramatically as women aged. Ethnicity: initiated a debate on the impact of ethnicity and refugee status on pregnancy experience in Australia. This research has drawn attention to the antenatal care issues of African and other migrant women from low socio economic backgrounds and has resulted in a number of publications, guest speaker invitations and conference presentations. 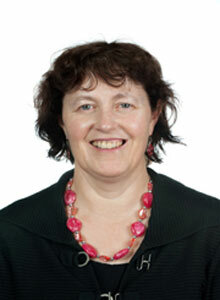 Professor Carolan-Olah is a registered Nurse/certified midwife. Victoria University: $7,300 - Midwifery students' understanding of the role of the midwife. Carolan, M. C. (2012). Refugee Women's Health In U. Sega, Elliott, D., (Ed. ), Refugees Worldwide (Vol. 2). Austin University, Texas: Praeger. Chapter 7, pages 161-196. View more of Professor Carolan's publications. 2013: Factors that facilitate self-management processes for women with GDM.Poster presentation at the 7th International DIP (Diabetes in Pregnancy) Symposium - Diabetes, Hypertension, Metabolic Syndrome & Pregnancy, Florence, Italy. 2011: The good midwife: Commencing students' views. Paper presented at the ACMI Australian College of Midwives conference, A Midwifery Odyssey, Sydney.